On Sale Now! Free Shipping Included! Save 2% on the Leisure Season PS3710 Multi Tier Plant Stand by Leisure Season at Tulips Orchids. MPN: PS3710. Hurry! Limited time offer. Offer valid only while supplies last. Multi-tier plant stand creates a unique display of blooms & plants. Roomy, & sturdy, our multi-tier plant stand adds dimension to a garden or patio. Multi-tier plant stand creates a unique display of blooms & plants. 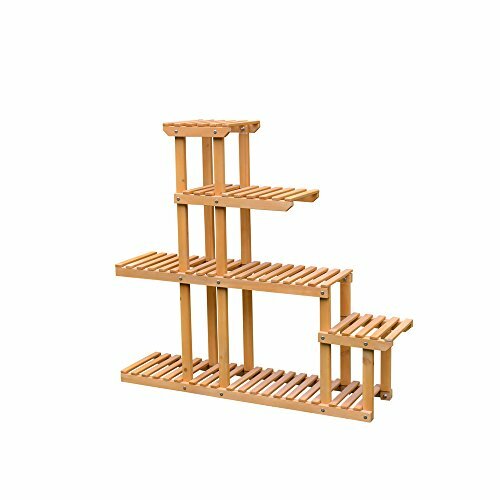 Roomy, & sturdy, our multi-tier plant stand adds dimension to a garden or patio. Looks good wherever it's placed because it blends easily with existing lawn & garden furnishings. Multiple shelves display up to 7 plants of various sizes. Works indoors or out. Try placing it against a wall to create a decorative display.